Italiaoutdoors Food and Wine introduces distinctive custom private tours in Italy, private bike tours, ski tours, walking vacations and other active adventures individually crafted with your small group in mind. Montgomery, Alabama is full of adventurous sites where visitors can go, enjoy and have fun while enjoying the site seeing and performing adventurous tasks. Nowadays, more and more people are planning their vacation in a tourist spot located in a different country. 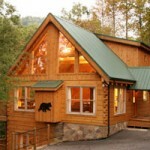 When it comes to such a vacation, more than anything else, the right accommodation is highly essential. 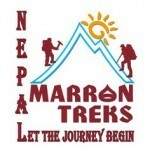 Marron Treks was established in 1997 and is located in Kathmandu, the capital city of Nepal. We provide tour, trek and hike services to different parts of Nepal and neighboring regions like Tibet, Bhutan, Sikkim and Darjeeling. Different packages can be availed here for groups and individual seeking to fulfill their desire for thrilling travel experiences and adventures. 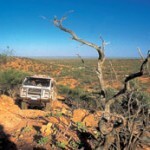 Discovering Morocco on a private 4×4 tour has become very popular in the last few years. When one thinks of Morocco, endless saffron dunes, hard- bargain colorful souks or Casablanca (the city and the movie) come to mind. 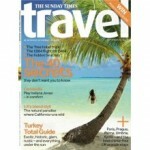 The Travel Magazine, a premier online travel magazine aims to offer the best and up-to-date information on the famous travel destinations around the world. Most of the hotels in Italy portray the heritage of Mediterranean mansions or are in the middle of the green in a lovely setting. The world’s only Jewish and democratic state is the home for places sacred for different religions like Islam, Christianity and Judaism. Are you seeing everything Australia has to offer? Odds are that the answer to this question is no if you are sticking to the traditional charter bus coach tours. The good news is that 4wd Safaris has a better way to see all of Australia: with a 4wd Tag Along Tours in the Outback Australia!